US President Barack Obama thanked the Cuban government for hosting the peace talks between the Colombian government and the Revolutionary Armed Forces guerrillas. Obama made his statements to Bogota´s El Tiempo newspaper in which he said that the dialog has advanced more during the reestablishment of relations between Washington and Havana, PL news agency reported. In his statements the US president acknowledged what he described as the valiant decision of Colombian President Juan Manuel Santos to go to the bargaining table. 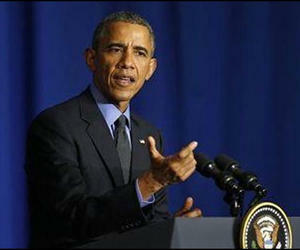 Obama said that nobody thought it would be an easy task, since it is more difficult to end wars than to start them. This demands commitment and implies taking risks, he noted. The US President said that his country supports the implementation of the Colombian accord on the victims of the conflict, justice and restitution of the lands.